Communication with and training of employees is vital to a company’s bottom line. Vetter Health Services had that important business practice in mind when they built their new home office, complete with state-of-the-art boardroom and training facilities. 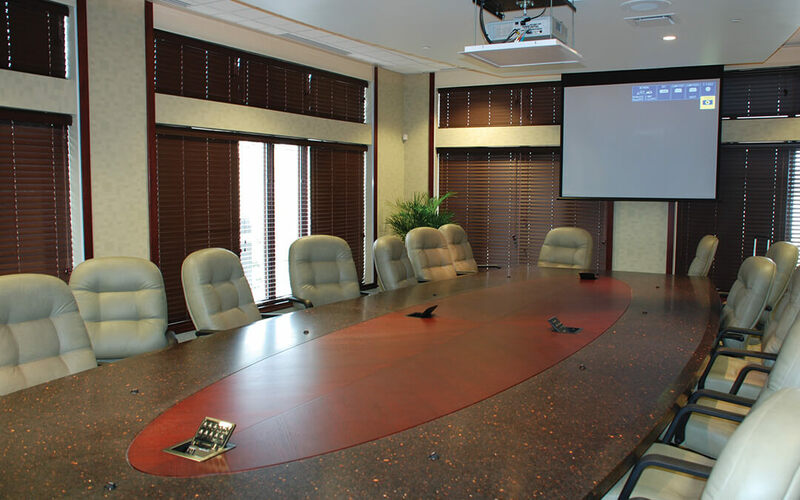 Integrated touch panel control & teleconferencing, multiple input sources/locations and seamless audio/video quality are crucial parts of disseminating information to board members and employees alike. Crisp, clear video projection, highly intelligible audio and the ability to combine multiple rooms make this possible. Diversified Design Group, Inc. used extensive computer modeling and years of expertise to create boardroom & training center facilities that were up to the task.